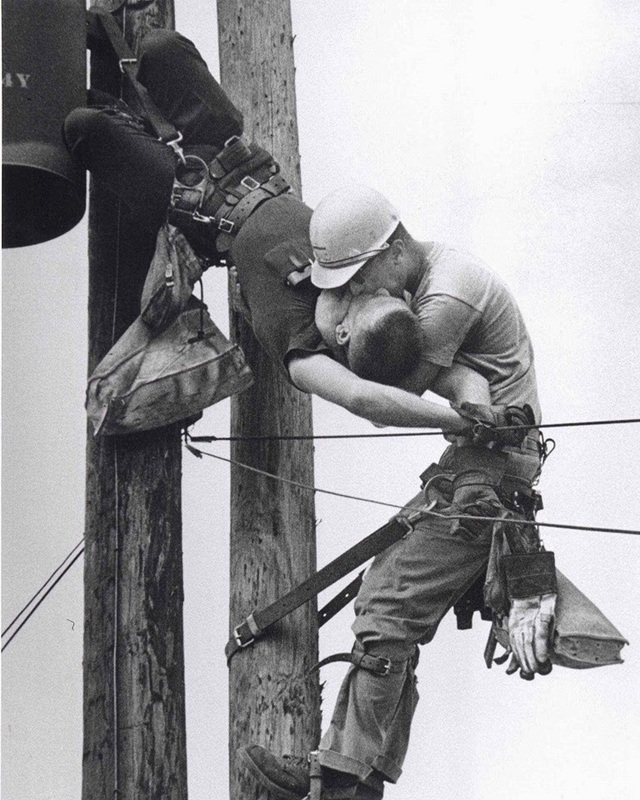 "The Kiss of Life": A utility worker, J.D. Thompson, giving mouth-to-mouth to co-worker Randall G. Champion after he contacted a high voltage wire -July 17, 1967. Details : This photo shows two power linemen, Randall Champion and J. D. Thompson, at the top of a utility pole. They had been performing routine maintenance when Champion brushed one of the high voltage lines at the very top. These are the lines that can be heard “singing” with electricity. Over 4000 volts entered Champion’s body and instantly stopped his heart (an electric chair uses about 2000 volts).